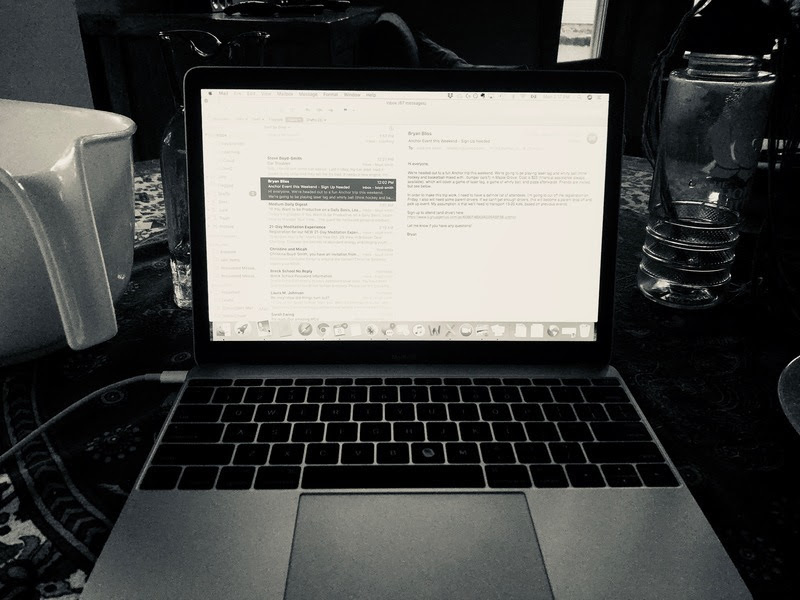 Time to read: Email Mastery - Part 2 of 2. 1 minute and 15 seconds to read. As an executive coach, I work from home, and I spend a lot of time with my dog alone. As an uber extrovert, I've been surprised at how ok I am with this arrangement. And, I love connecting - with friends, on the phone with clients, the person at the checkout counter, and other parents at my children's school. I love email. Email gives me an easy way to connect with all of you, and a great way to keep in touch with friends in countries far away. And, email can get out of hand. Geez, I hate to even admit this. At times, email gives me a reason for being. Texting does, too. Tell me if you've ever experienced this (please really do tell me so I don't feel so weird): It's the weekend and you check your email more frequently than perhaps is necessary since no one is online, except they are, and when you receive an email (or a text), you get a little dopamine hit that says, "thank goodness, I matter." Wow. Did I really admit that? Here's the thing. I'm saying this as much for my sake as for yours. Your email does not equal your mattering. In fact, you matter just because you do, even if you never received another email in your entire life. What does matter is your ability to connect. You matter because you show up, you're kind, and you make a difference in the communities you occupy, at work and in life. Your presence makes a difference to the people you love and even to the strangers who cross your path. That matters. Your email has nothing to do with it, even if it feels like it sometimes. So, you really can put it down. P.S. Wanna share the mattering with your friends? You can! Just forward this email to them and they can join us here.